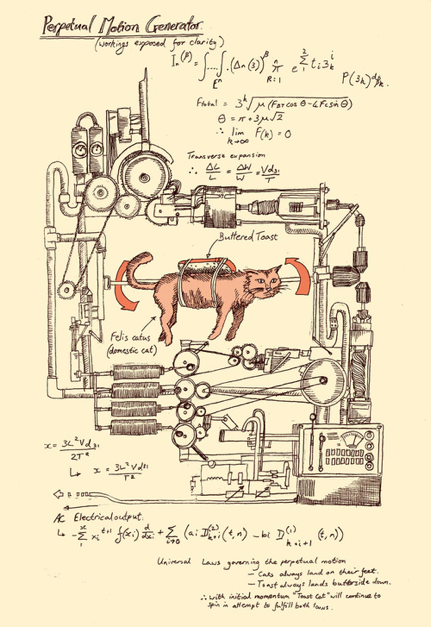 We love weird. But this is a bit weird even for us. 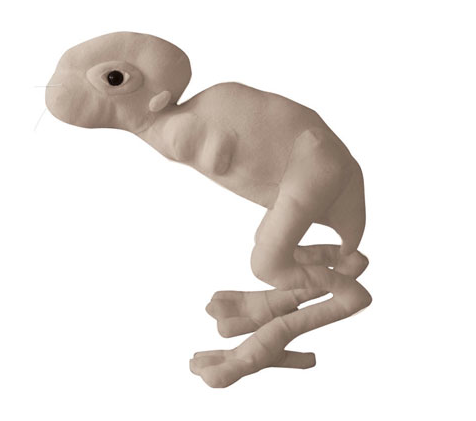 You can now own your very own extremely limited collectible Baby Dren plush toy, IF you enter the FEARnet Splice Sweepstakes and win. Who is Dren? The genetically engineered, far from human entity in “Splice”. You know…that movie coming out June 4th. Kinda looks like a tadpole, doesn’t it? If you want to play Frankenstein, you can Splice Yourself and turn yourself into a genetically engineered freak too. Cat lovers will appreciate this cute art print by David Fleck which features an illustrated equation for the age ol’ dilemma of a cats always landing on their feet and buttered toast always falling face down. You can purchase it at Society6. Sanna Annuka is an illustrator and print maker with a love for nature and folklore, with an English and Finnish background. 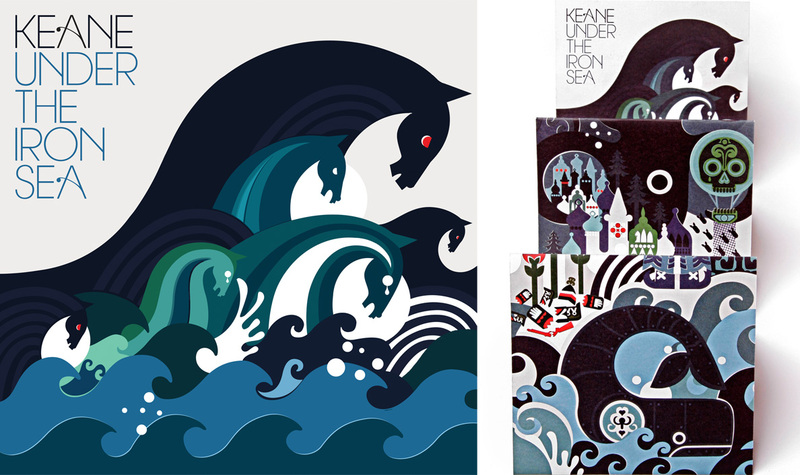 Annuka graduated with a BA Hons in Illustration from the University of Brighton in July 2005, with silkscreen printing as a specialty in her final year. 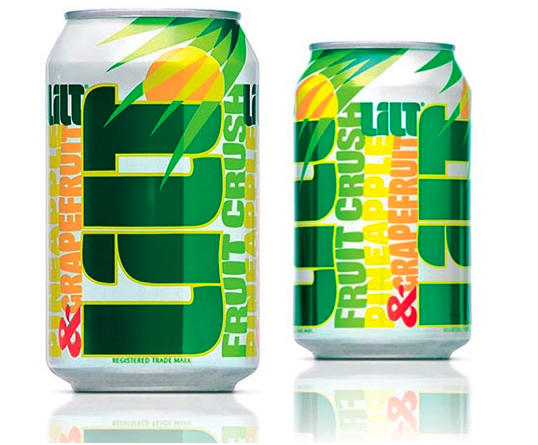 A look at 15 creative packaging designs for beverages.. 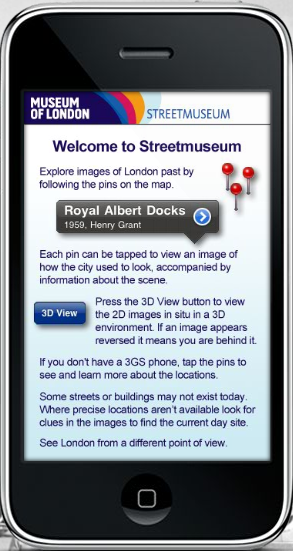 The Museum of London’s iPhone App named ‘Streetmuseum‘, allows you to select a destination from their London map, or use your GPS to locate an image near you. You then hold your camera up to the present day street scene and the same London location appears on your screen, offering you to time travel back to the past, from over 200 sites in the captial. Best of all, it’s free and compatible with iPod Touch and the iPad. Hundred of images are available that showcase London’s history from the Great Fire of 1666 to the hippy 1960′s. Starting with the founding fathers of graffiti and ending with the current generation of street artists, “Street Smart” Group Show at Affirmation Arts in New York City features the major players of the street scene and offers an overview of the current state of this art genre. 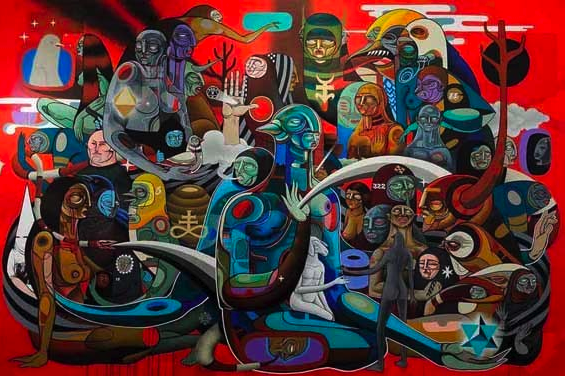 Artists include: D*Face, Dalek, Ron English, Keith Haring, Gary Baseman, Date Farmers, Doze Green, Mark Ryden, Shepard Fairey , KAWS, Blek le Rat, James Jean,WK Interact, Robert Williams, Jeff Soto and Tim Biskup, all of whom crossed over successfully from low brow to high culture. The Street Smart Group Show running from May 27 through June 19, 2010.